P.U.R.E. at artist ECARD ! P.U.R.E. 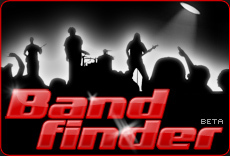 at Band finder ! P.U.R.E. at Indie Music People ! P.U.R.E. at Musicians Page ! P.U.R.E. at Showcase Your Music ! P.U.R.E. at Stereo Killer ! Links below are problem sites. If they are fixed they will be returned to above. P.U.R.E. at Tune Crank !